www.BuilderElements.com: What are the best kitchen faucets? When remodeling your kitchen, you will have many decisions to make. Some of these decisions pertain to the physical beauty of the kitchen; others are related to the functionality. Among many elements in kitchen, faucets are eye-catching decorative ones and can be pivotal to the smooth running for kitchen because of their high frequency of use. Kitchen faucets come in a variety of colors,styles, finishes and sizes. What kind of faucets you select will depend on what kind of look for the kitchen you want to create. Is your kitchen with traditional, modern or Western style? Some faucets are designed with one single handle, and other with two handles. They come with desk mounted or wall mounted styles. 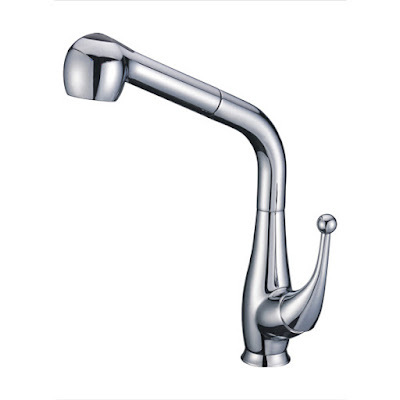 Kitchen faucets cost from a wide price range, depending on the materials and finishes of them. Among many materials, solid brass is the most commonly used for kitchen faucets for its resistance to soft-water corrosion and hard-water calcification. It can be plated with chrome, brushed nickel or dark brown finish to offer reliability and durability. Chrome faucets are shiny with their chrome electroplating finish. They are shinier than stainless steel and great for aesthetics, however, a little more difficult to clean and maintain. 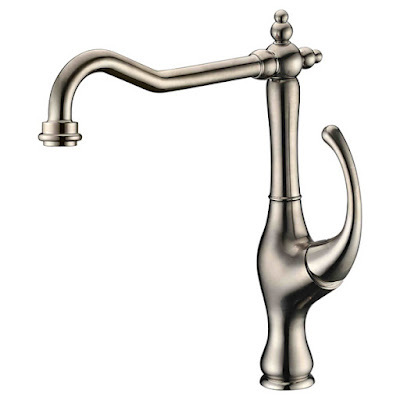 Compared with chrome faucets, brushed nickel ones look trendier and are low maintenance. They can work well with a lot of styles. Although these two finishes are different in some aspects, they both can suit and enhance the visual landscape of your kitchen. No matter what kind of preference you have, when you want to change the kitchen faucets, you need to take the following things into consideration. 1. Count the number of sink holes. A faucet needing two holes should not be replaced with that using only one hole. 2. Check the supply lines. The hot and cold lines have to be connected to the proper handles. 3. Be aware to the installation. Some kitchen faucets are mounted from the top, while others are mounted from the bottom.